A good morning to you from El Segundo, Insiders. The bye week is over, and a collection of challenging games versus Anaheim, San Jose, Pittsburgh, at Anaheim and against the New York Rangers bridges the gap to a quick Western Canadian jaunt in advance of All-Star Weekend. Of course, the only game that will draw focus today is tomorrow’s game against Anaheim, which will be preceded by a special celebration of Bob Miller’s career in which a statue will be unveiled outside Staples Center and a banner will be unfurled inside the arena. Jake Muzzin (IR/upper-body) is not on the ice at practice. Alex Iafallo has moved back to the left of Anze Kopitar and Dustin Brown. Kevin Gravel has been recalled, though Jonny Brodzinski remains in Ontario. The lines appear to show Iafallo-Kopitar, Brown, Pearson-Kempe-Toffoli, Gaborik-Shore-Lewis and a consortium of Clifford-Jokinen-Mitchell-Andreoff up front and Gravel-Doughty, MacDermid-Martinez and Forbort-Folin on the back end with Oscar Fantenberg skating as an extra defenseman. -Canada’s 25-man roster for the Pyeongchang Games was revealed Thursday. There are several players with Los Angeles ties who will compete for Canada: former Kings Ben Scrivens (goaltender) and Linden Vey (forward), former prospect Brandon Kozun (forward) and 2017-18 training camp invite Chris Lee (defense). Goaltender Sean Burke, who made 23 appearances with the team in 2006-07, is Canada’s general manager. -Kale Clague was traded by Brandon to Moose Jaw in a major deadline day Western Hockey League swap. Clague, who won a gold medal as an assistant captain with Canada’s World Junior team, was sent to the Warriors in exchange for 18-year-old forward Luke Burzan, 18-year-old defenseman Chase Hartje, first round draft picks in 2019 and 2021 and a second round pick in 2018. Clague amassed 10 goals and 47 points in 28 games with Brandon this season and joins a Moose Jaw team with a league-best 34-6-1-2 record. For those asking, no, this does not affect his rights as a Kings prospect. –As first noted by Elliotte Friedman in his most recent 31 Thoughts, Bemidji State free agent defenseman Zach Whitecloud is being pursued by Los Angeles. 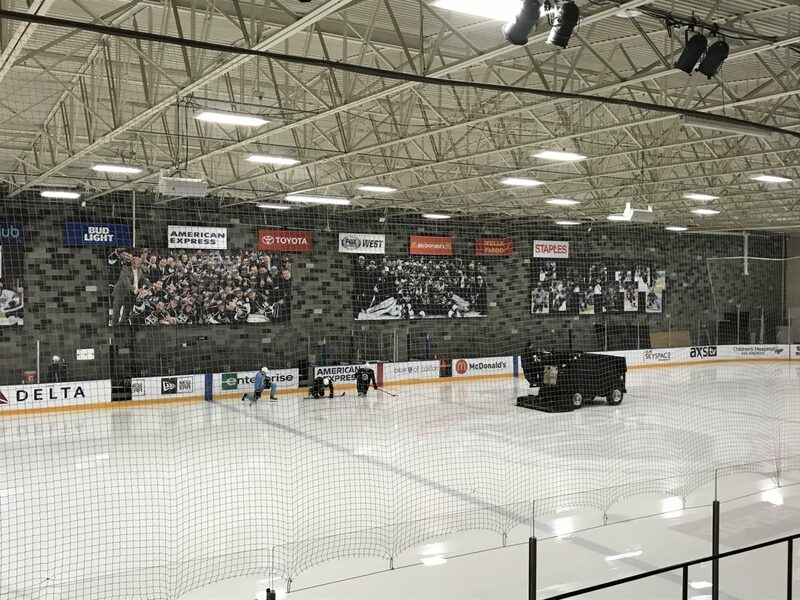 He attended development camp over the summer in El Segundo and was visited by Rob Blake in early December while playing at Bowling Green and the Kings opened a road trip with a Detroit-Washington swing. Brad Schlossman of the Grand Forks Herald has more right here. Standing in at 6-foot-2 and 219 pounds when he attended camp over the summer, Whitecloud, a right-shot Brandon, MB native, has three goals and 12 points in 20 games this season. -Former King Matt Johnson, the subject of a sobering feature by TSN.ca, surfaced earlier this week when it was reported that he was arrested by the Santa Monica Police Department on New Year’s Eve. -Hey! Here’s a fun feature by Joshua Cooper on Kings and Dodgers organist Dieter Ruehle.